S.1870 passed unanimously in the New Jersey State Assembly and Senate and now heads to the desk of Gov. Chris Christie to be signed into law. A number of cities across the country are banning the sale of puppies thanks to awareness of many nonprofit animal welfare groups that have shed a bright light on puppy mills. From New York City to Los Angeles — and many places in between —people can adopt dogs and cats at local and national chain pet stores. Many of these pet supply stores permit animal rescue organizations to hold adoption days. Some pet stores even offer temporary housing for adoptable pets. According to an article on NPR by Greg Allen, Michele Lazarow, a dog lover, is leading the charge to stamp out sales of dogs in her native south Florida. She became involved when she purchased a puppy-mill dog from a pet store a number of years ago. Lazarow claims her dog developed a chronic illness. After researching puppy sales from local stores, she discovered a majority of pet stores sell puppy mill dogs. And while the facilities and the dogs are inspected annually by the U.S. Department of Agriculture, those inspections don’t result in closure of the breeding facilities. “The regulation of breeders is so poor that all it really does is give consumers and the general public a false sense of security that their dogs are coming from a humane environment when they’re not,” says Cori Menkin of the ASPCA’s (The American Society for the Prevention of Cruelty to Animals) Puppy Mills Campaign. The latest state to vote unanimously in favor of a bill requiring pet stores to disclose the origins of the dogs they sell and prohibit them from sourcing animals from breeders who fail to meet even the most basic care standards prescribed by federal and state law is New Jersey. The bill, which passed the Assembly 74-0 and the Senate by a vote of 37-0, now heads to the desk of Governor Chris Christie to be signed into law. The law will require New Jersey pet stores to provide consumers with the identity of the breeders and brokers from which pet stores obtain puppies for resale in the Garden State. Additionally, it will prohibit pet stores from using breeders or brokers that do not comply with New Jersey state care standards or have been cited by USDA inspectors for welfare-related violations of the federal Animal Welfare Act (AWA). 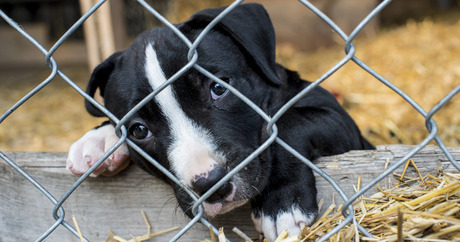 To raise awareness about the cruel conditions found in puppy mills, the ASPCA developed a tool on their No Pet Store Puppies website that links pet stores with USDA licensed commercial dog breeders that supply them.